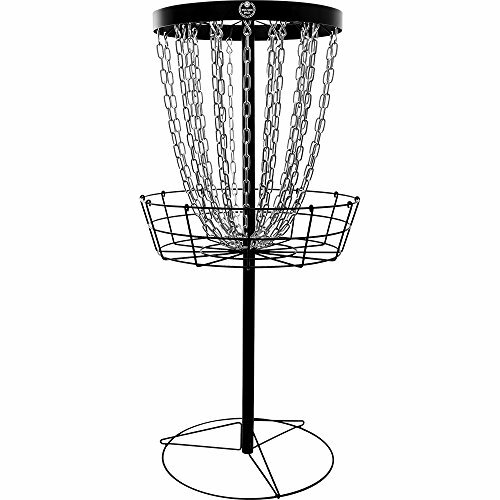 Basket Features: 12 inner and 12 outer zinc coated chains 12 basket radials 12 top radials 2 part threaded pole Easy to assemble Assembled weight - 30 lbs Shipping weight - 37 lbs Powder coated Not PDGA approved The Westside Discs Weekend Basket is mainly meant for portable use. Permanent installation, or prolonged exposure to the elements, can eventually compromise the integrity of the basket's composition. The Westside Discs Weekend Basket is easy to carry in the trunk of a car because the pole is made of two parts. If you have any questions about this product by Westside Discs, contact us by completing and submitting the form below. If you are looking for a specif part number, please include it with your message.